As Property Superintendent, Jason is responsible for working directly with clients to ensure their expectations for property maintenance are exceeded. He directs and coordinates Jay-Crew foremen and crews, establishes quality control measures, ensures a high level of service, oversees use of equipment and materials, and assists personnel as needed in carrying out their responsibilities with honesty, pride, and professionalism. 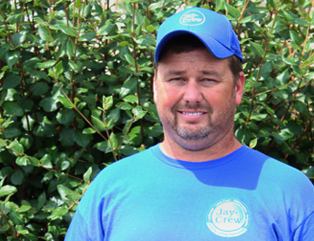 As Property Superintendent, Jason works as a team with Jay-Crew Relationship Managers on each account to develop proactive maintenance programs that add value to each property. Working in the landscape industry has always been one of Jason’s passions, and he has been doing what he loves for over twenty years. He is dedicated to leading the teams on projects and creating a great outdoor space for clients.